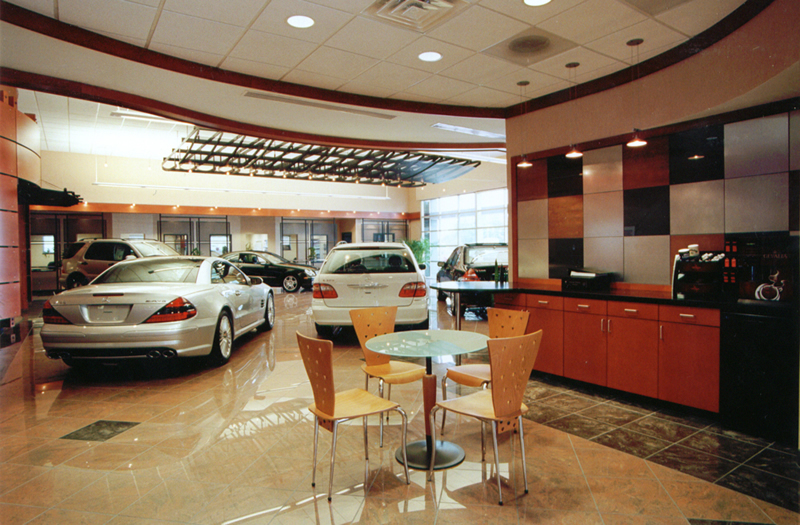 “Sleek and sophisticated” sum up this dramatic renovation for the Mercedes Benz showroom in Winston-Salem. 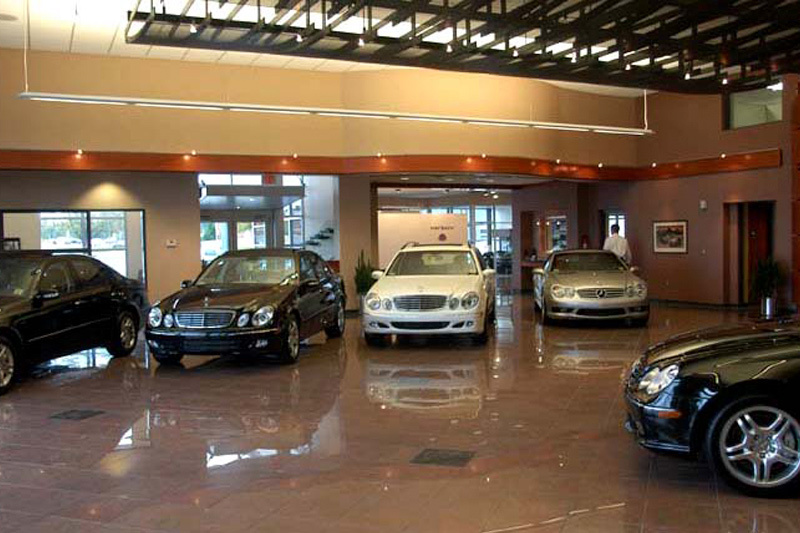 Hayden Design worked with the architect to select interior finishes to compliment the contemporary space showcasing latest models of these luxury automobiles. 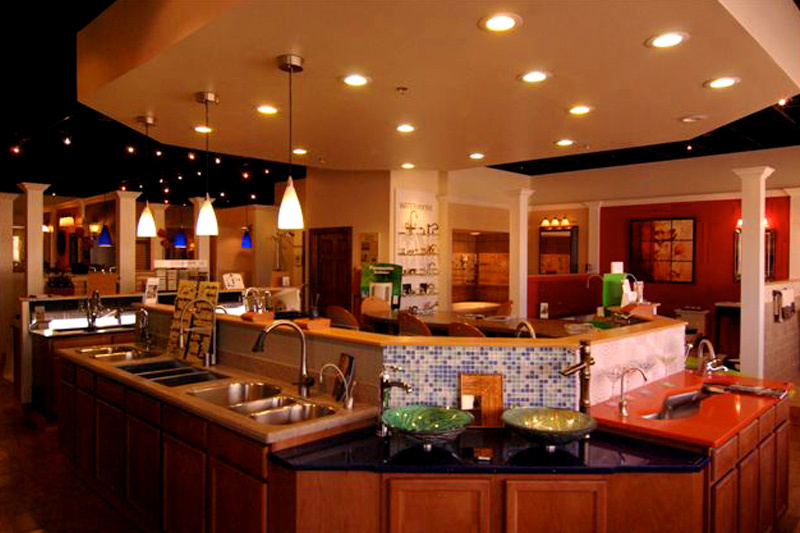 Hayden was also responsible for furniture, lighting selections and accessories. 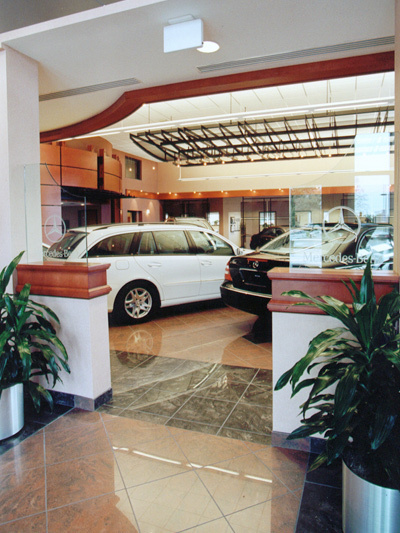 In addition to the W-S location, Hayden Design worked with the architect to create an “Old World” atmosphere for the Mercedes Benz of the Triad’s Greensboro showroom. 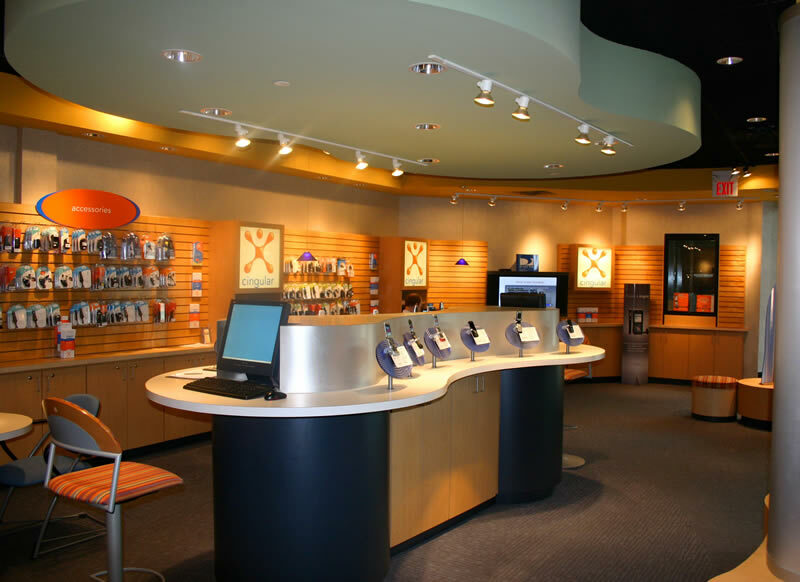 Hayden Design was hired to develop a new store concept and specifications for the renovation of space at the Oak Hollow Mall. 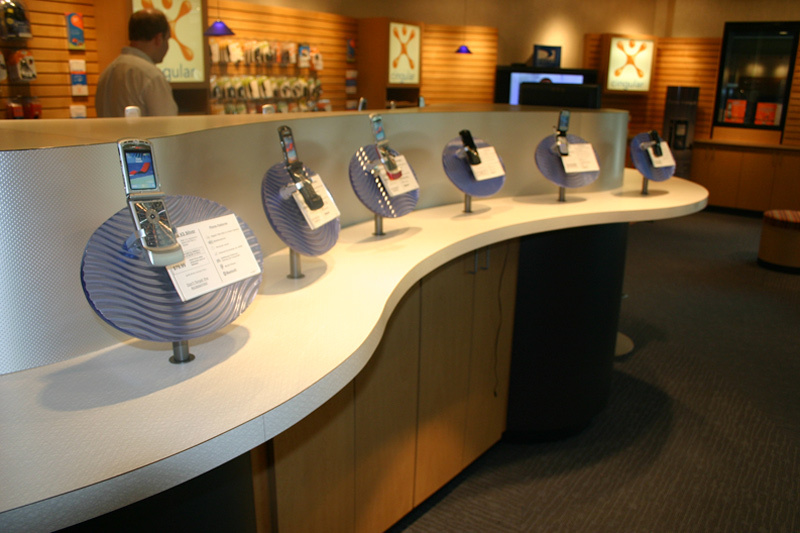 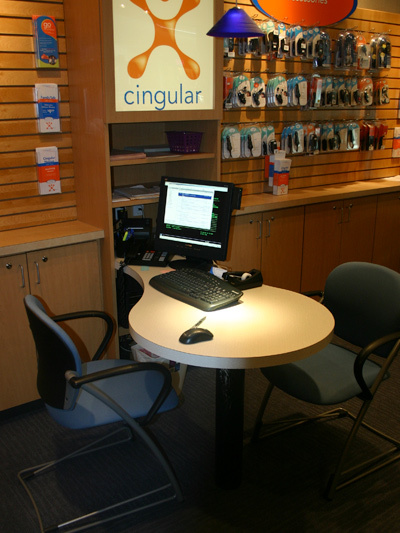 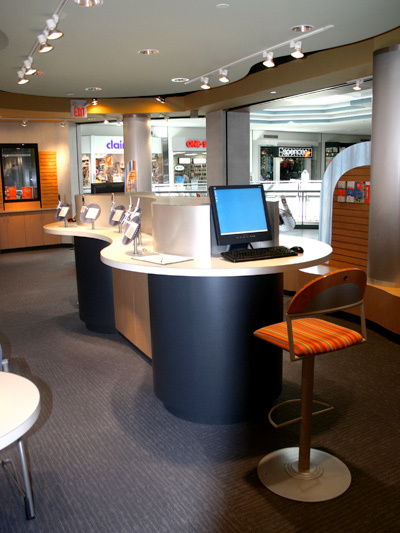 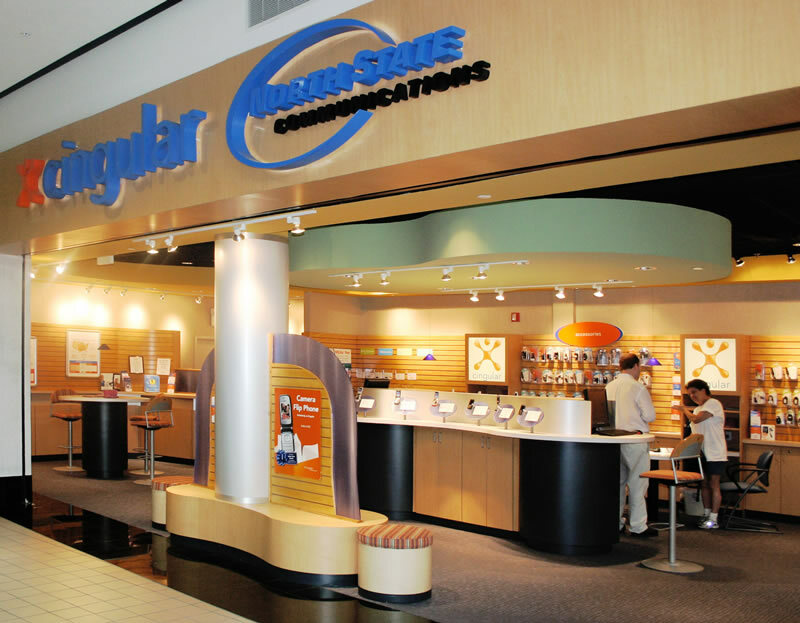 This space included Cingular’s “Live Bar” where customers could try various wireless services and products before buying. 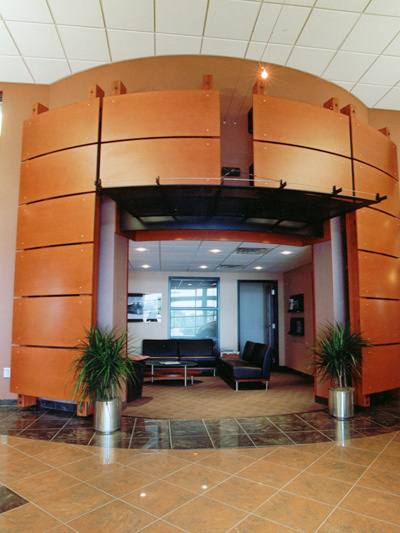 Hayden Design’s services included space planning, design development, construction documents, and finish and furniture specifications. 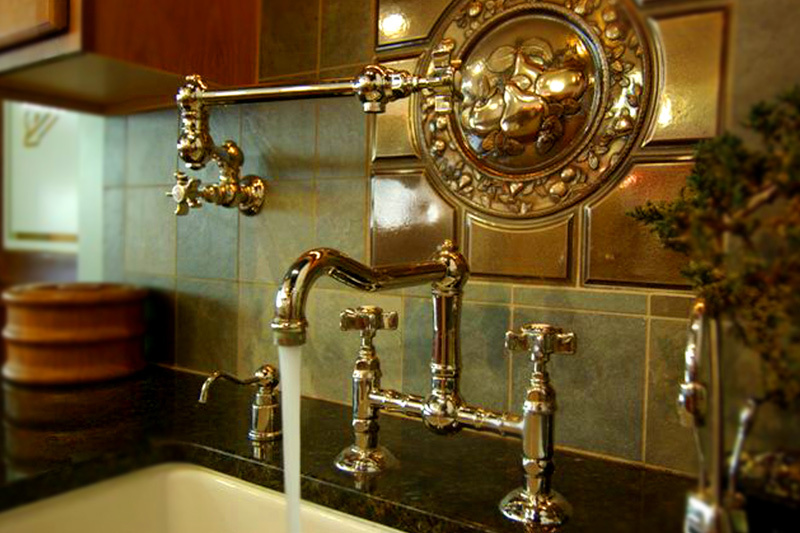 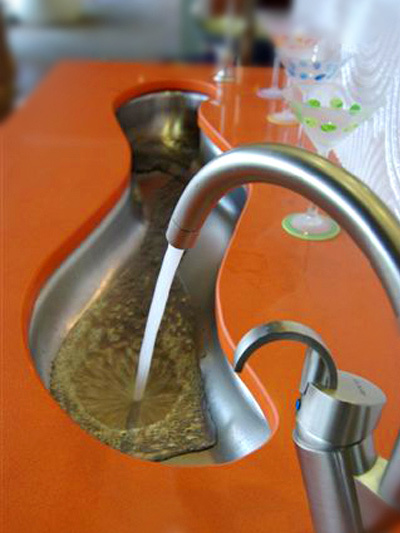 Bimco Corporation is home to one of Winston-Salem’s more artistic and comprehensive plumbing showrooms. 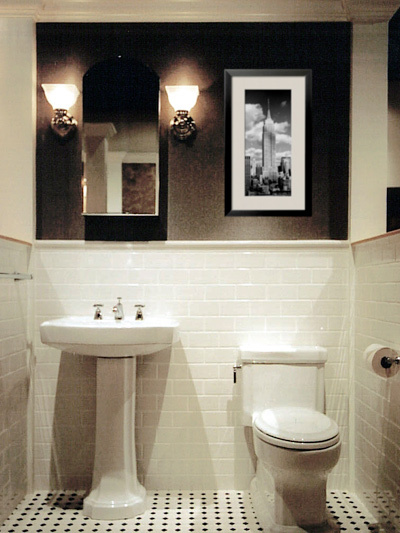 Hayden Design created 17 suites and vignettes which feature actual working fixtures for the customers to experience. 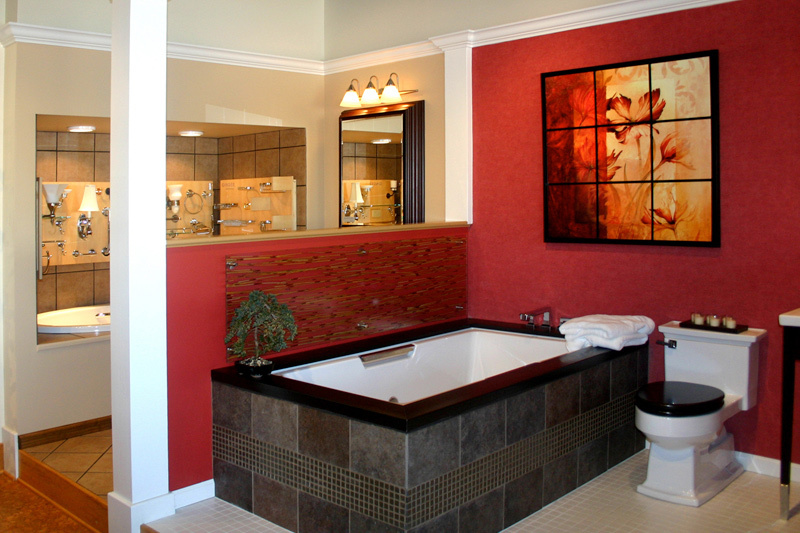 Hayden selected all interior materials and lighting for this extensive renovation. 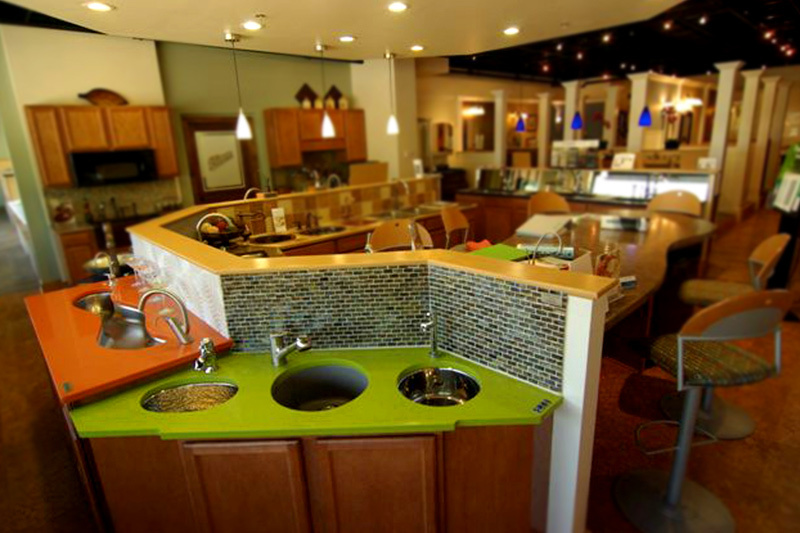 With the addition of this inviting showroom, Bimco’s sales have increased significantly. 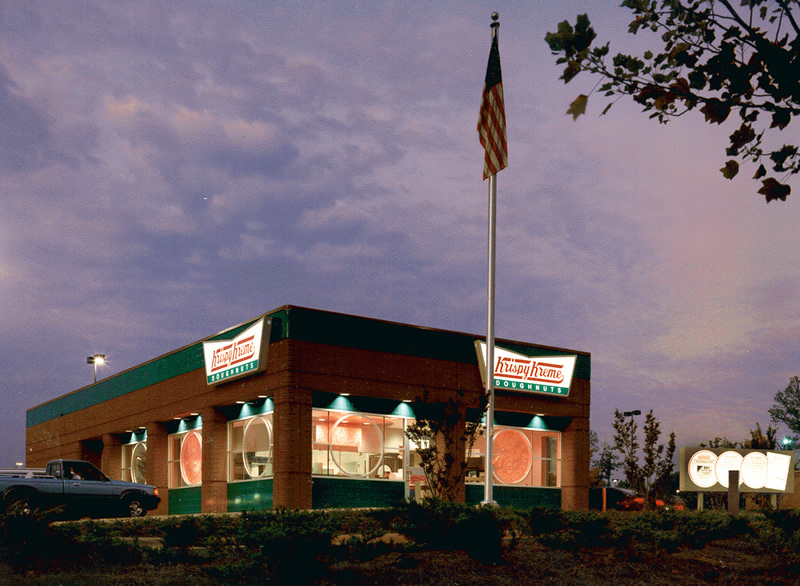 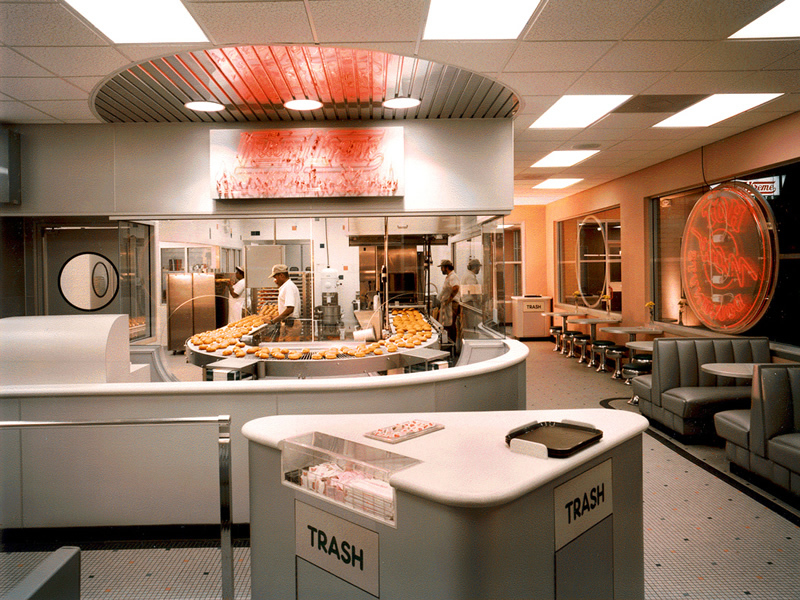 When Krispy Kreme was developing their prototype stores, the project architect included Hayden Design on the team to select finishes and furniture to compliment the new design direction. 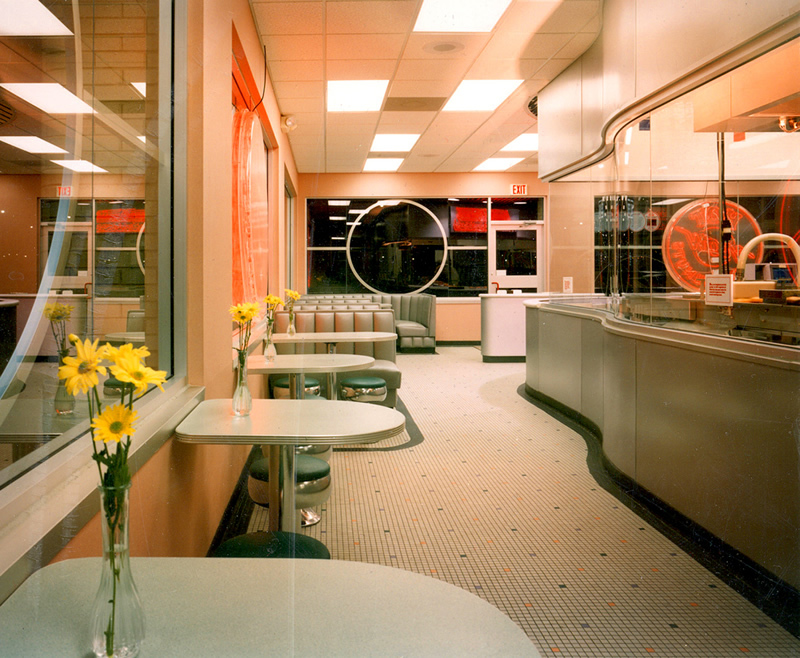 A floor pattern which resembles colorful “donut sprinkles”, retro tables and stools and nostalgic photographs pay tribute to the classic image of Krispy Kreme while complimenting a contemporary space which allows the customers to watch the donut making process. 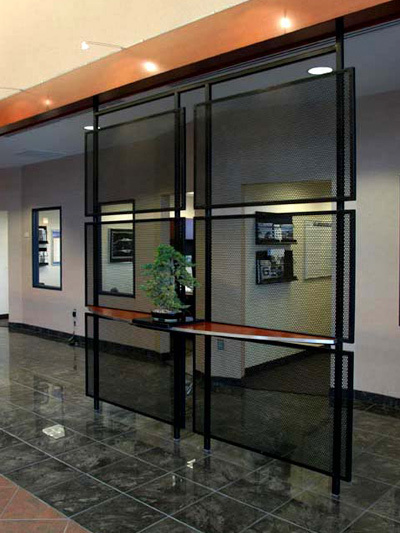 Hayden Design received an IBD (Institute of Business Designers) Silver Award for this project.